Good News! I have finally, finally finished unpacking! It only took about a year but I did it. I had another allergy attack from the mice detritus that John had to clean up because the fat, lazy cats couldn't be bothered to do their duty this autumn. But the allergies weren't as severe as the week long asthma problems I suffered from in the winter. Bad News (But not for me.) There was a tiny snow squall this afternoon. It made me very happy and took my heart back to northern Vermont where snow squalls can happen any month of the year (that is not exaggerating) (the link is to my favorite Barton, Vermont snow photos). John began growling at it. Seriously growling. And I began singing. Quietly. No need to rub snow happiness in! 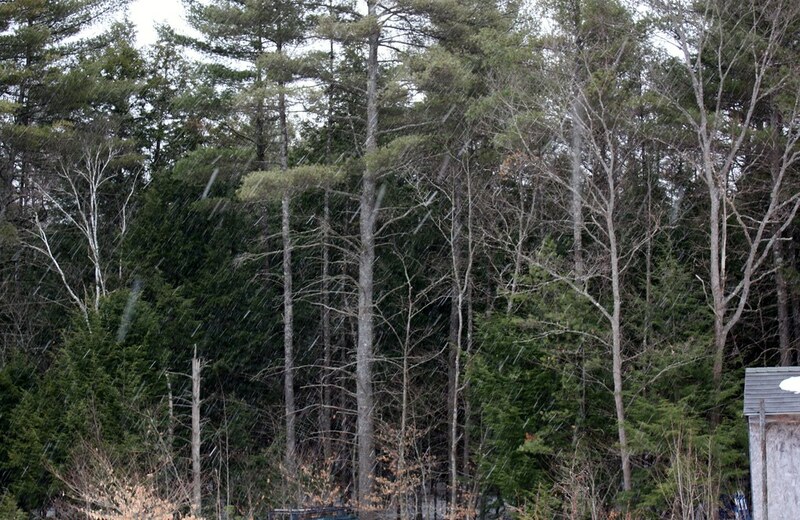 You can't see the snow too well in the photo, but it was a pretty decent squall. The Worst News. I may be a great baker and bread maker. But I'm still learning some of the rest. 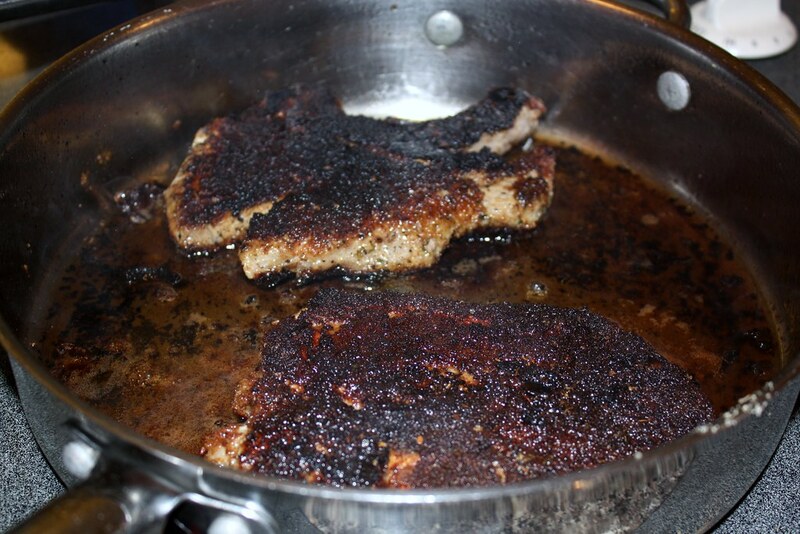 Like (above) frying pork chops. John ate the mess graciously and even told me it was great stuff. It looks disgusting, doesn't it? (And yes, I actually pick up a camera to photograph my disasters. It's better than crying, right?) So for those of you who cook and bake and your loves won't eat it (thank you for the recipe in the mail today, Marcia! ), just be grateful that you are not feeding them this fried cholesterol.